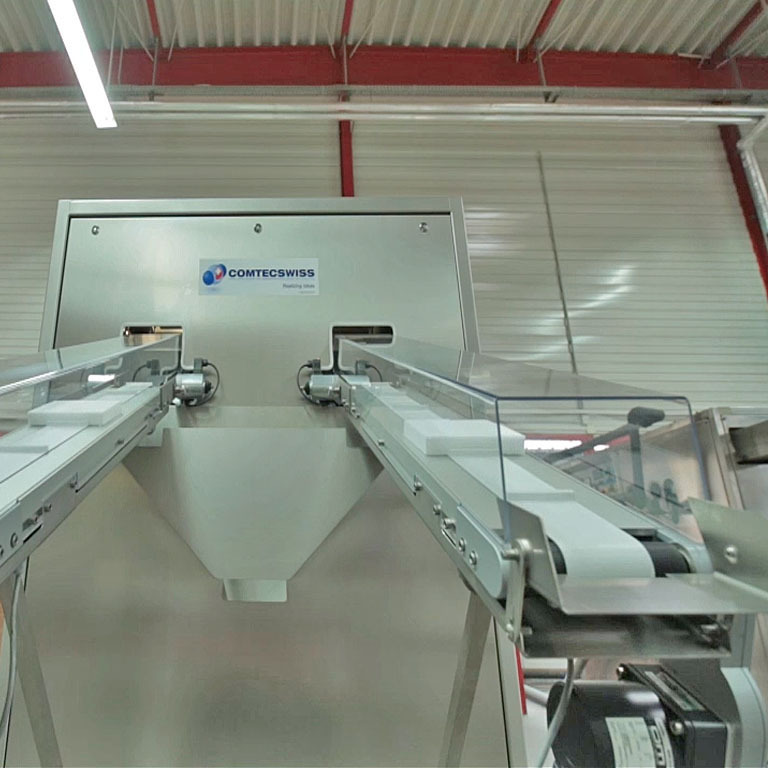 Using a BTB conveyor, Montech designed a system to unload dry ice blocks (–78° C) from a production machine. 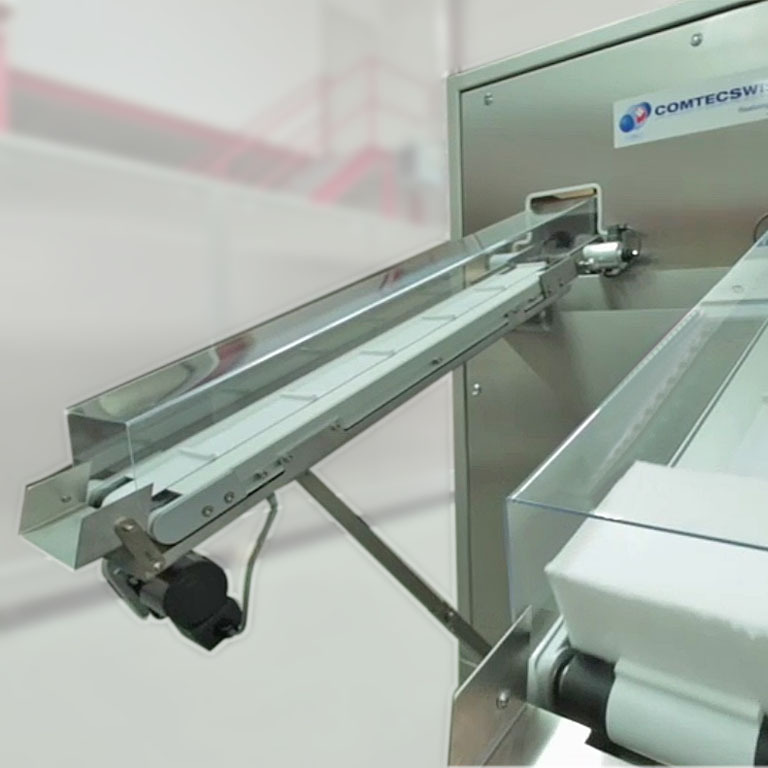 The narrow belt minimizes surface contact between the conveyor and the ice, while the cleats keep the dry ice blocks separated to prevent fusion. 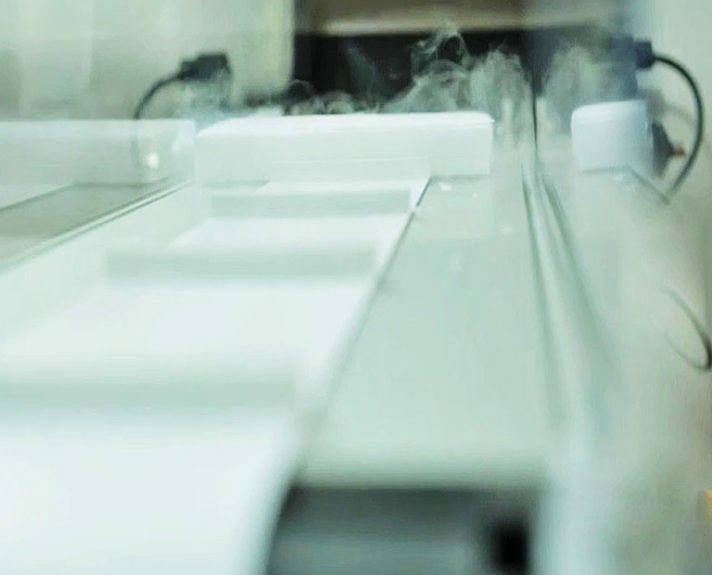 A Plexiglass hood over the conveyor helps protect workers from carbon dioxide gas released by the dry ice.